The first source is, it seems to me, cultural expectation. There is a cultural expectation in Canada, and in North America generally—especially among the privileged class (usually of European descent, working class or better off financially, and that is most pronounced among the better educated)—an expectation that life would, could, and should be fair. We in North America generally have egalitarian suppositions and expectations. We expect the courts, institutions, businesses and other people in general to treat us fairly and equally. And when this is not the case, when either I or someone with whom I identify is treated unfairly, I become angry. Anger coming from this source, if the source is not a particular injustice I am experiencing, often comes from politics, from identifying with a particular political position, party or issue. That is, although I myself am not immediately or directly effected by a real and immediate injustice, I identify with those who are or seem to be or even might possibly be effected. Some Christians, particularly those especially interested in political action, argue that such vicariously acquired anger is a good thing because it motivates one to work politically for change in unjust systems. The Church Fathers of the desert and philokalic tradition, however, see things differently. In this particular ancient tradition, anger, or any passion for that matter, is not an appropriate motivation for any action. This tradition takes seriously Jesus’ admonition to think of others as better than oneself. Instead of seeing the problem of injustice as a matter of poorly constructed systems or even of particular people who selfishly oppress others, the Fathers and Mothers of the desert see the problem of oppression as a spiritual problem. For them, the oppressor is also a victim, a victim to his or her passions which are driven by demonic forces. And when you see your oppressor as also a victim, you can begin to have pity on her, you can begin even to love your enemy. This does not mean, however, that one should just be a doormat—as people often ask of me at this point in the conversation. It does mean, though, that one should allow pity and love to douse the fire of anger in your heart. Of course one must act, personally and politically, in whatever ways are possible and appropriate to make the world a better place, but not with anger burning in your heart. Anger blinds and deafens. Anger keeps us from thinking clearly and from paying attention to and loving the human beings in our presence right now. Anger drives away the Holy Spirit and consistently leads us to say and do things we later regret. Anger is not the way. One technique that I have found helpful as I wrestle with anger of this sort, of the sort coming from injustice and unfairness in my life or in the world, has been to rethink my cultural assumptions. My assumption that the world would, could, or should be a just place has to be reconsidered. Jesus did say, after all, “in the world you will have tribulation” and “if they persecuted me they will persecute you.” And doesn’t the scripture speak everywhere—except in reference to the eschaton—that the rich and powerful generally trample upon the poor, and therefore the Lord must help them? This unfairness and oppression is part of the way this fallen world is. Where do you think the evolutionists (social or biological) got the idea of the survival of the fittest? I, or the ones I identify with, am not being specifically targeted, except that I am poorer or weaker or less privileged or less whatever than the one who wants to take from me what I think is mine: my right, my privilege, my possession, my parking space. Acknowledging that this is the way the world is, is not to say that it’s OK. It’s not OK that the strong oppress the weak, but it is nonetheless how the world largely functions. Sure, there are some systems that seem to be inherently less unjust than others. In one area, the bad guys may wear athletic suits and carry brass knuckles and in another they may were designer suits and carry briefcases. The means by which the rich and powerful get their way may vary, but just about always the rich and powerful get their way. It’s the way of this world. And as a Christian, of course, whenever possible, I need to act in ways that are not of this world. And as much as is possible, I need to resist and not be complicit in oppression and violence. This is the way of Jesus, the way of the cross. However, the way of the cross is not the way of anger. It is the way of self-sacrifical love. And more than this, we pray. The scripture and particularly the Psalms are full of encouragement that the power of the oppressor, even the power of the very devil itself, is limited by God. Sure, political systems and justice systems can be improved and made more just, but ultimately it is God who delivers us from our enemies. And if we don’t do business with God, if we don’t first and foremost recognize that ours is a spiritual battle played out in this fallen and unjust world, if we don’t master our own anger most of all, then even if we succeed in meeting our external objectives, we will only replace one dictator with another, one crooked system with another, one loop-hole ridden set of laws with another. And so the anger remains. At least that is what seems most often to play out historically. Another common source of anger, and not unrelated to the first, is more personal. It has to do with not getting my own way. A priest friend of mine used to often say that every thought I have starts with the assumption that I am good, I am right, and I and innocent. And to this I would add at least one more: and that I already see the situation clearly. When trying to solve a problem, we just about always assume that our solution is the best one, and when others don’t see it that way, it frustrates us and leads to anger. 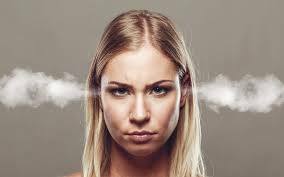 How often parents and children, wives and husbands, employees and employers tell me that they struggle with anger because the one won’t do (or let them do) what the other tells them is the best thing to do. A child is angry with her parents because her parents won’t listen to her (i.e. won’t let her do what she thinks is best) Parents are angry at a child because he won’t listen (i.e. won’t do what the parents think is best). And so on it goes. There is an illuminating story in the letters of Sts. Barsanuphius and John that addresses this problem of anger coming from not getting one’s way. John of Beersheba [different from St. Barsanuphius’ friend, St. John] was a leader (but not, apparently, abbot) in a monastery that was doing some construction. Because he was skilled and experienced in architecture, he was assigned the task of drawing up the plans. After he had made the plans, and unknown to him, some of the brothers made changes to the plan that “somewhat spoiled” them. St. Barsanuphius writes to this John and advises him to deal with his anger by keeping this thought in his mind: “Did I become subject to God to subject others?” According to St. Barsanuphius, anger is overcome when we remind ourselves that we are subject to God, so our job is not to subjugate others, to make them submit—even if we’re right! Does this mean, then, that the brothers were right to change the architectural plans without talking to John? No, certainly not. The brothers failed. However, that’s the brothers’ problem to wrestle with, not John’s. John’s anger came from his (self) righteous indignation that he was not fully listened to initially nor consulted when changes to his plan were proposed. And the fact that the building was “somewhat spoiled” only added a pretext of justification for his anger. However, St. Barsanuphius’ advice to John is to remember that it is not his place or responsibility to subjugate others; rather his place is to submit to God. So much of the anger we struggle with is of this nature. Someone who should listen to us doesn’t. What we see as clearly right, clearly good, clearly the will of God, someone else does not see at all. What we see as our authority, our expertise, our privileged or our unique perspective, the other seems to show no respect for at all. And so we become angry. Teenagers are angry because parents do not respect their unique perspective on their own life. Parents are angry with children because they do not respect the authority and experience they have to offer. Parishioners (or the clergy) with expertise or experience or concerns in one area are angry with other parishioners (or clergy) because their expertise or experience or concerns seem to be ignored—or given less weight than they think they should be given. And so (self) righteous indignation fuels anger, and anger results in blindness and deafness and further strife. But, you may argue, I am the parent or the priest or the expert or the one who will be most effected by the outcome. I have a right to be listen to. I have a right to be obeyed. This may indeed often be the case. Nevertheless, anger, especially ongoing anger, is never a helpful nor appropriate response. And St. Barsanuphius recommends that to overcome anger you remind yourself that you—if indeed you are a Christian—have submitted yourself to God, not in order to submit others to yourself. But, again, some may argue, that because of my position of authority, in not submitting to me, to my plan, to my wisdom, to my advice, to my decision, the disobedient one is actually not submitting to God. OK then. So be it. The disobedient one is not submitting to God, so let God deal with them. Let God get angry, for if God does experience anger (and it’s is not just a biblical anthropomorphism), then God’s anger is without sin. Can you say that of your anger? Let us submit ourselves to God and forsake anger and wrath, as Psalm 37: 8 advises us. Then we will see a little more clearly. Then we will listen a little better. Then we will be able to take more appropriate action, action motivated by pity and love, action that is more likely to carry the grace of God and to bring healing. Otherwise, we will be blinded by our anger and act in wrath, which almost always only makes matters worse. There will never come a time when enough is said about the destructive force of anger. Not only do I get angry at others, but at myself as well. It does make matters worse because it is hard to be loving when you remain angry with your own self. I like what you said about being subject to God and not subjugating others; through selfless love, the way of The Cross, we overcome anger, violence, the way of the world. And yes, prayer. True it is, Father Gillis, that such wisdom, as illustrated in the Desert Fathers, is rare in egalitarian times, and most rare among radical leftists who demand equality of outcome. Alexis de Tocqueville commented on his trip as a Frenchman visiting America that Americans surely aspire to the cultural ideal of homo aequalis rather than the norm across most of the world: homo hierarchicus. The upside is clear to those who hold the ideal of homo aequalis: persons, including oneself and those whom one loves, are to be viewed and treated fairly; and as insurance of this, equal treatment must extend ever further away toward those more and more remote from him or her in citizenship, religious or racial or cultural or familial identity, sexual identity, body morphology, socioeconomic status, and any other way someone may be perceived as remote. These comments are not intended in a partisan way to reprove the liberal mindset alone. Sadly, conservatives — like all human beings — have their own set of pitfalls, which also involve renaming the evil in their hearts. Their worldview is not as bent toward the wrathfulness and envy of the egalitarian, who may go over the top to put people back into their equal place; and who are, being especially sensitive to egalitarian concerns, more likely to envy the success or power of others. So the conservative might rightly chide the liberal for wrathfulness and envy. Nevertheless, individualistic conservatives and libertarians, who work hard to pursue their own life, liberty and happiness, and that of those within their network, are more likely to fall for avarice, which could be renamed industriousness, for example; and impurity, which could be renamed life-affirming desire or gumption in the pursuit of happiness. The studious and rigorous mind of authoritarian conservatives, who discipline themselves and hold fast to traditional order for the sake of deeper meaning, could easily confuse their own pride and self-deceptive perfection with all-the-greater faithfulness to the truth. For isolated non-political persons, who simply drift through life disengaged from realities beyond their immediate circumstances, enjoyment of the good things of life could mask gluttony, an easy-going nature could mask slothfulness, and self-protection or minding one’s own business could mask cowardice. The upshot: When one must remain perched on the tip of a cone, the presence of God, every direction from the centre comes with a fall, regardless of the direction of that fall. Those who fall left look silly to those who fall right; and those who fall right look foolish to those who fall left. Things get all the more difficult when the cone shifts, that is, when the presence of God expects us to shift from our zone of comfort in order to practice love and humility in real time. Lord, help us, every one. If we are not careful, we can fall off on the other side into arrogant paternalism. I have felt anger at someone who I love and loaned money to when they were in a crisis. They seemed to make choices that deepened their crisis and needed more loans and more loans. I felt so angry at this person and at myself for seeming to be so foolish in giving in to their requests. Finally, in an effort to just not be angry at them I came to the point where I didn’t feel angry about the past money and I don’t live with an expectation that it will be repaid, but I asked them to not ask me for money unless they are willing to talk to a respected third party with me and enter into some kind of accountability agreement about how the money will be used. They haven’t wanted to face accountability and so, haven’t asked me for more money. I feel less angry, but I know they are more angry at me for not freely giving. My question is: is putting some distance (whether it’s financial, emotional, physical) a Christian way to deal with anger or is it still expecting them to “submit” to me and my will? Where does the borrower in this case begin to reap what they sow if I am continue to financially rescue them? The only one without limits is God. Yes, certainly there are limits, boundaries, that are necessary in all relationships in this fallen world. Generosity is good, but you can only be generous with what is yours to give away. A hermit in the wilderness can give away her last pencil. A writer cannot; otherwise, how would she write? Of course these things require discernment and wise counsel. There may be a circumstance in which one gives away his or her living. Many saints did this very thing. However, it would be exceedingly foolish to presume that you are such a saint—especially since you struggle with anger. Humble yourself and accept that you have limits and that the one you love needs limits for her/his salvation too. Although God is limitless, in His love for mankind, He has set limits for human beings. Love sets limits so that the one loved may grow.